One of the most common questions I hear both in person and on the internet is “Can you sell a BLM mustang?” The answer is YES, as long as the mustang is titled. That can be where things get confusing for horse owners and horse buyers. While the following article is written with BLM mustangs in mind, everything here also applies to BLM burros. 1. Can You Sell a BLM Mustang? Any BLM Mustang can be sold as long as it is titled. 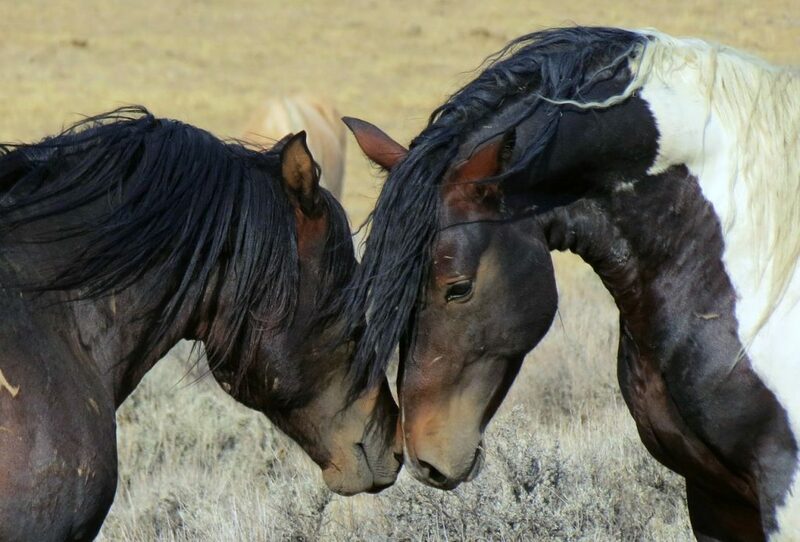 To protect mustangs from being purchased by individuals wanting to send them to slaughter, the Bureau of Land Management Wild Horse and Burro program has a 1 year adoption period for all horses and burros adopted through its program. During this time the adopter cares for and trains the horse (or burro) as their own. 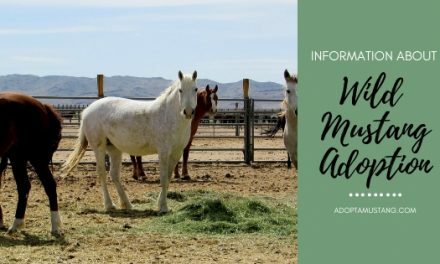 After the 1 year period, the BLM sends the adopter an application for title. This application requires an authorized person to sign off that the horse is healthy and well cared for. 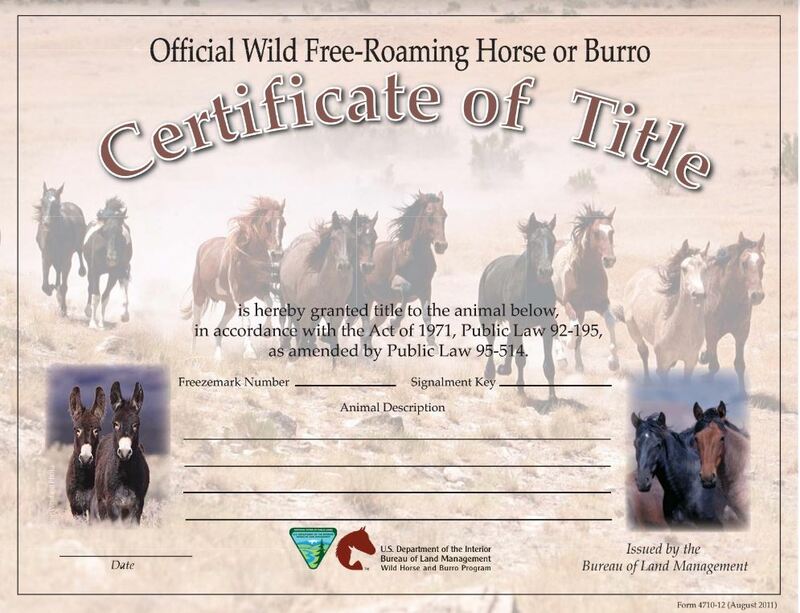 Once the title application is received back by BLM and approved, they will issue a “Certificate of Title”. This certificate means that the mustang is no longer property of the US Government and can be re-homed or sold like any other horse. If you need to sell your adopted mustang before you have title, you must contact the BLM for information on how to proceed. Generally speaking, you can’t “sell” your mustang. Rather you can “reassign” him/her to a new, BLM approved adopter. You CAN charge a “training fee” for your horse to offset the time and training you have put into him / her. What you charge for that fee is completely up to you. There is no minimum and no maximum. If you are considering selling your untitled BLM mustang, you should contact your local BLM office to check what paperwork they will need from the new adopter. 2. 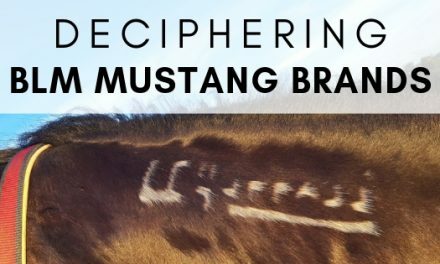 How Do You Know if a Mustang is Titled? There are three ways to know if a mustang is Titled. The certificate of title is in hand and matches the horses brand. You email or call the local BLM office with the brand number and ask. The horse has a large U brand at the end of his brand signifying he was a sale authority animal. If you are ever not sure it is best to contact the BLM directly for clarification. If the horse is titled but the current owner doesn’t have a copy of the title, that is OK. BLM will issue a letter advising the horse is titled instead. (BLM does not issue duplicates copies of the original title). Keep in mind that the title appearance may vary. 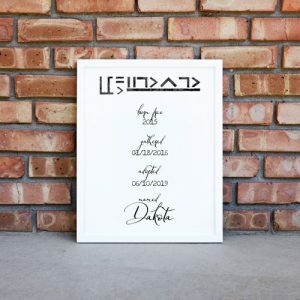 Traditionally it is issued in color as below but I personally have received two titles on plain white paper without the pretty background images. 3. What is a Sale Authority Mustang? A sale authority mustang is one that has been offered for public adoption at least 3 times OR is over the age of 10 years old. Sale authority mustangs are usually branded with a large U at the end of their brand. This makes them easy to identify as sale authority without having to research their status based on their brand number. 4. Can Wild Horses Be Sold at Any Age? Keep in mind that, because a horse or burro can be marked as sale authority after being offered for adoption at least 3 times, it is possible for even a young horse to be sale authority. That means that even a yearling or two year old could be offered as sale authority. When advertising your horse keep in mind that you want to make sure he/she ends up in a good home. When you can, price your mustang reasonably and screen new homes. Take good photos and even video to help prospective buyers make a decision on whether they should schedule an appointment with you to come look at your horse. If you decide to use Facebook, posting your mustang in multiple horse / farming related groups can help increase his/her exposure. 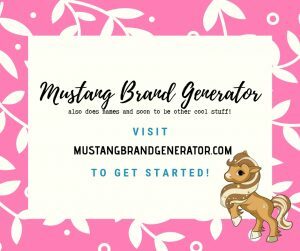 There are a few different Facebook groups targeted specifically to mustangs as well. You may need to play with the way you word your Facebook post when posting an available horse. Look at other Facebook horse sale ads for examples. 6. Does BLM Sell Mustangs to Slaughter? The BLM does not sell mustangs to slaughter. They have protocols in place to avoid this from happening. 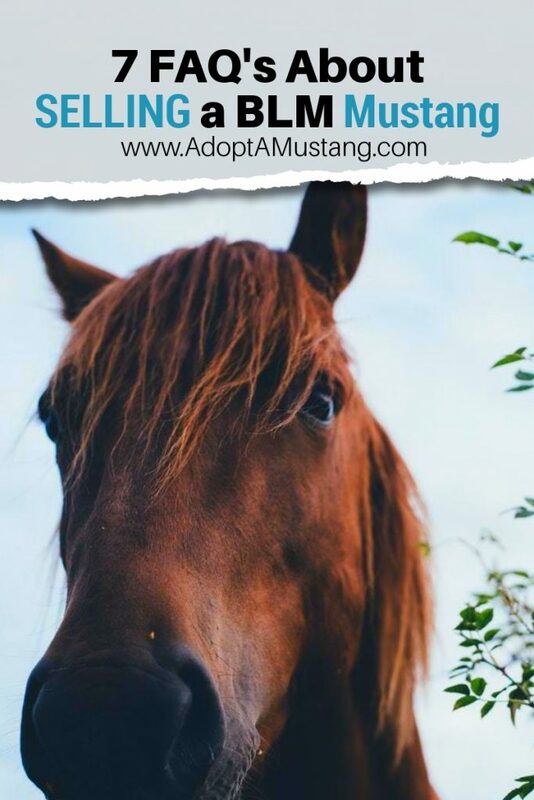 They cap the number of adoptions and purchases at 4 per person making it not economically feasible for horse brokers to purchase mustangs for this purpose. In addition, the BLM requires prospective adopters and purchasers to sign a contract stating the horses are not being purchased for slaughter. Additionally, it is illegal to sell an untitled mustang. They can be re-assigned with a training fee, but not sold. Once a horse is titled, however, the BLM no longer has any control over where / who they are sold. Over the past year I’ve personally seen a number of BLM mustangs on kill buyer auction pages. These horses are not there because BLM sold them to the auction yards, these horses are there because their owners sent them to an auction. The reality is thousands of horses end up at slaughter auctions. 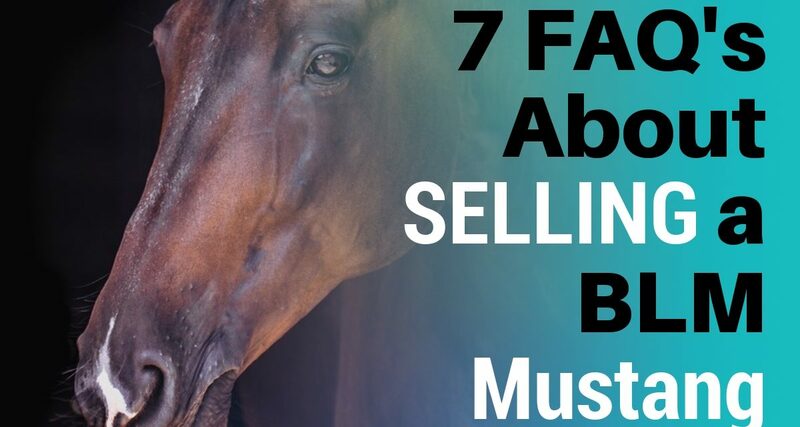 Many kill pen buyers know that mustang lovers across the country are willing to pay to “bail” mustangs out which makes them profitable to acquire. The BLM brand makes these horses recognizable where other breeds may go unnoticed. While BLM doesn’t sell mustangs to slaughter, it is true that they can often be found in kill buyer pens, just like horses of many other breeds. If you are ever wanting to rescue a mustang from slaughter I recommend you attend horse auctions directly and bid / purchase your mustang there. Mustangs at the BLM are in little to no danger whereas horses already at auction are the ones that truly need saving. 7. How Do I Transfer a BLM Mustang to My Name? 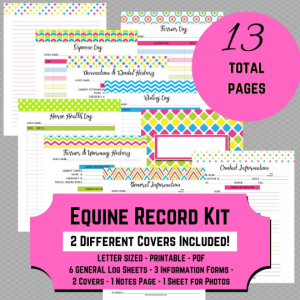 The BLM is not a horse registry and so does not transfer titled horses. Once a title is issued for a horse it can never be reissued with the new owners contact information. The BLM will, however, transfer untitled animals that are changing ownership. In fact, the transfer process is a requirement. Typically the new owner will submit an application for adoption to the BLM. If that is approved BLM will provide the necessary paperwork to transfer the horse from the original adopter to the new adopter. The current fee to reassign a horse is $25 payable to the BLM. The iconic American wild horse can be reassigned or sold depending on its status with the BLM. Adopted horses must be titled before they can be sold. Prior to being titled, any horse or burro can be reassigned as long as the new owner completes an application with them. The original adopter is allowed to charge a training fee in this case. For more information about how to bring home your own wild horse or burro, the BLM has produced this how-to guide.